Nigerian House of Reps member, Hon. 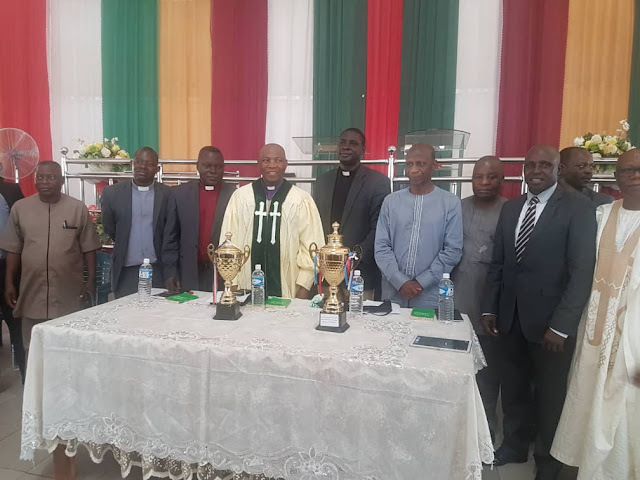 Istifanus Gyang says Light Football Club, launched by Church of Christ in Nations (COCIN) yesterday is a veritable platform to harness, cultivate, nurture and refine talents and character of youths. In a statement in Jos, Hon. Gyang hailed the step taken by the Church to takeover and transform sports and entertainment "from the kingdoms of this world into the kingdom of our God." He however advised against worrying about moral standards in selecting players for the team, saying the concern should be about drawing people to the knowledge of God. Gyang said, "The youth needed was an encounter with the refining power of God's word through the working of the Holy Spirit to be transformed and reformed. "Onesimus, a youth in the Bible overcame a character challenge and was not only transformed but became useful after encountering the Holy Spirit through the ministry of Apostle Paul." The Plateau Northern Senatorial aspirant expressed confidence in the potentials of youths, urging them to take full advantage of the opportunity afforded by the establishment of the COCIN Light FC.